I finished watching Blade Runner 2049 over the course of a week — why did it take me that long? | Tales From The Ipe! I finished watching Blade Runner 2049 over the course of a week — why did it take me that long? I watched the original Blade Runner (1982) film years ago. Directed by Ridley Scott, I remember thinking the film was pretty interesting. Fascinating cinematography, design, etc. I don’t remember the story being all that amazing — I thought it was alright at the time, but maybe I should give it another chance. This time around, Denis Villeneuve is in the director’s seat. I loved what he did with The Arrival, and I wasn’t disappointed with that aspect of the film. The cinematography of the film, the set design, the world-building were all pretty amazing. Ryan Gosling plays “K”, a replicant who is a blade running who is out “retiring” older-model rogue replicants 30 years after the events of the first film. By this time, Tyrell Corporation has been bought out by… the Wallace Corporation. Wallace CEO Niander Wallace (played by Jared Leto), wants to discover the secret to replicant replication, so he’s got his agent chasing after K.
I’d tell you more, but… honestly I lost interest. 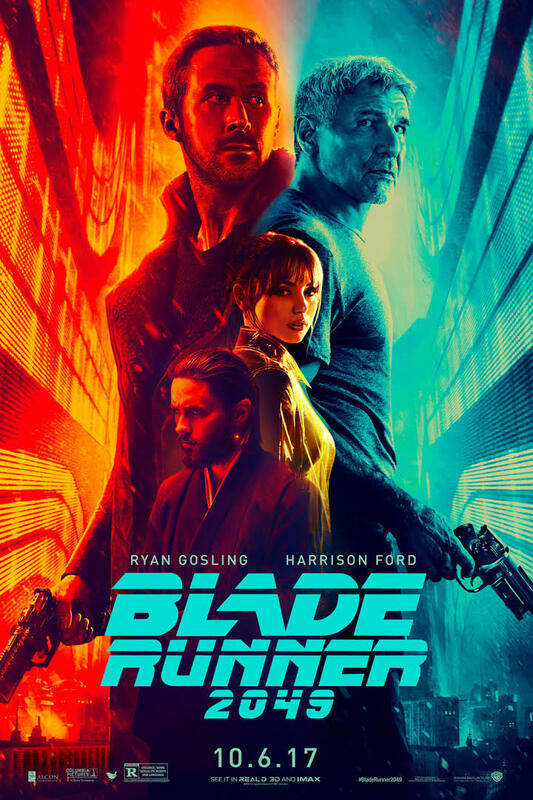 The film is about K going to all sorts of places to figure if replicants are reproducing on their own, the secret about his own history, and eventually, finding Harrison Ford’s Rick Deckard, who has been missing for the past 30 years. I didn’t find the plot all that clear or interesting (a little plodding), so I kept watching this film in short bursts over the course of a week. Sorry, I don’t have much else to say. The film looks great, but the plot is a bit threadbare. This entry was posted in Entertainment and tagged drama, harrison ford, movies, ryan gosling, sci-fi. Bookmark the permalink.